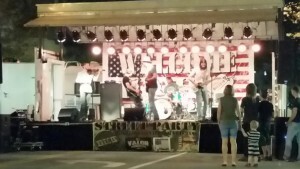 Waters Sound & Light offers full stage, lighting, and sound reinforcement for fairs, festivals, community, corporate, and private events. Our trained professionals will work with your event organizer and performers to ensure an efficient, smooth, worry free experience. 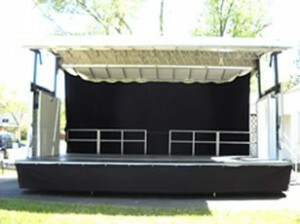 Rent this stage for your next event! Tell us when and where you need it. Just show up and use it. We will deliver, set up and take down for you. Perfect for outdoor events. Add professionalism to your event by adding an LED light show. Professional stage light shows enhance your guests viewing experience while giving performers light to work by while performing. We use the highest quality sound systems to produce or amplify your music. Your band, dj, or presenter has never sounded better. But, don’t take our word for it, see what our clients are saying about us and let your own ears decide. Sound systems and lighting are available for your corporate events such as: Fraternity and sorority events, dedication ceremonies, concerts, banquets, community forums, and any other of your corporate event needs. 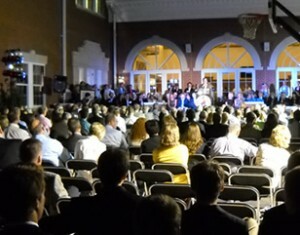 Enhance your event with a seamless slideshow, video or photo montage. For weddings, start with pictures of the Bride and Groom from infancy through adulthood, and then add pictures while dating on through engagement. For parties, gather pictures of friends having fun. Then show the pictures on a big screen during dinner or all evening long. 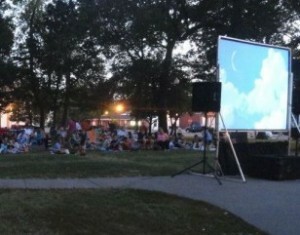 Bring your neighborhood and community together by hosting a “Movie Night”. A great way to entertain the kids, network, and create new friendships. Ask your local businesses to sponsor a “Movie Night”. This is a great way to showcase your community to potential customers or people new to the community. You provide the movie. Everything was wonderful! Excellent services. Worked great with minor changes that needed to be made. Would definitely use service on future events!"